You are here: Home / Blog / Blog / How to Care for Your Bifold Doors – A Few Handy Tips! How to Care for Your Bifold Doors – A Few Handy Tips! At Lite Haus UK we pride ourselves in providing customers with outstanding bi-fold doors. 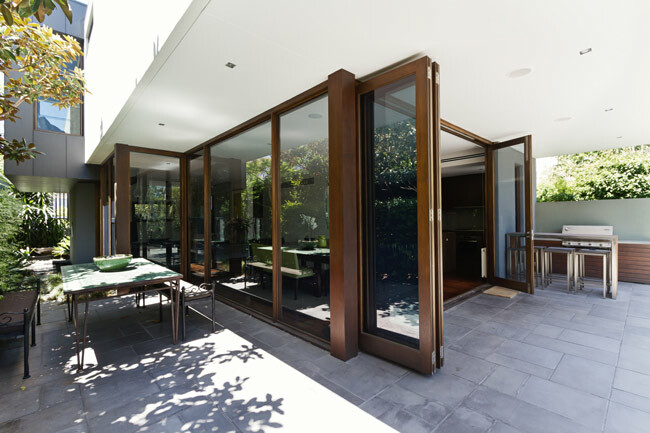 It’s amazing how extensively the addition of bi-folds can enhance your home; letting in light, enhancing space and somehow making a room feel bigger. Bi-fold doors are also low maintenance, so it doesn’t take much to keep them in full working order. However, there are some steps that you can take to keep your bi-folds in tip top condition. Experts agree that the best method for cleaning your durable bi-fold frame is to use water mixed with a mild detergent, such as washing up liquid. Sharp pads or brushes should not be used, as they may scratch the aluminium. A soft sponge or cloth should do the trick. As a general rule, more abrasive cleaners should be avoided too, in order to prevent damage to the frame. Cloudy weather is best for cleaning glass, as this prevents the sun from drying the surface too quickly, resulting in streaks. Traditionally, vinegar has been mixed with water for the purpose of cleaning windows, but some dislike the acidic smell that can linger. If using soap and water, try not to make it too soapy to prevent streaks. It’s best to use a soft sponge and take off any jewellery that could damage the glass. The bi-fold runners must be kept clean and free of obstacles in order to keep them running as they should. Remove any visible stones or pieces of debris. If not noticed, these can cause serious damage to your door’s runners. A vacuum cleaner nozzle should be able to deal with more general dirt. Some environments will mean more frequent cleaning of your bi-folds. For example, living by the sea will mean that salt can build up on the surfaces. All you have to do now is open up your home to the elements and let the light in. For more advice or a free quote, get in touch with Lite Haus UK today! We’re Hiring! – Aluminium Door and Window Fabricator Are Bi-Fold Doors Right for Your Home?